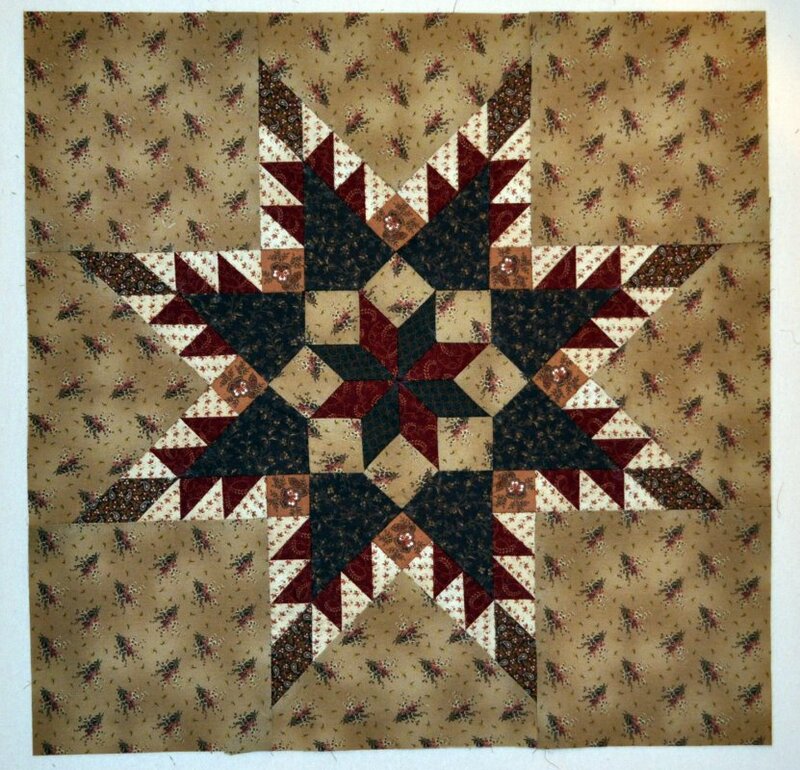 "Thsi is the Feathered Star Quilt Block that I hand-pieced. 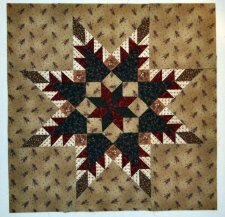 This is the same style quilt block that I use as my business logo on our website and pattern covers. I have had many requests for this pattern and in the files provided you will find the block templates and cutting diagrams... Try hand piecing - it is so relaxing and I love the way my block turned out"
Finished Size: 21" x 21"